Let’s take an example of producing non-persistent messages having 1MB payload size into a destination “foo.bar” in a local broker instance. 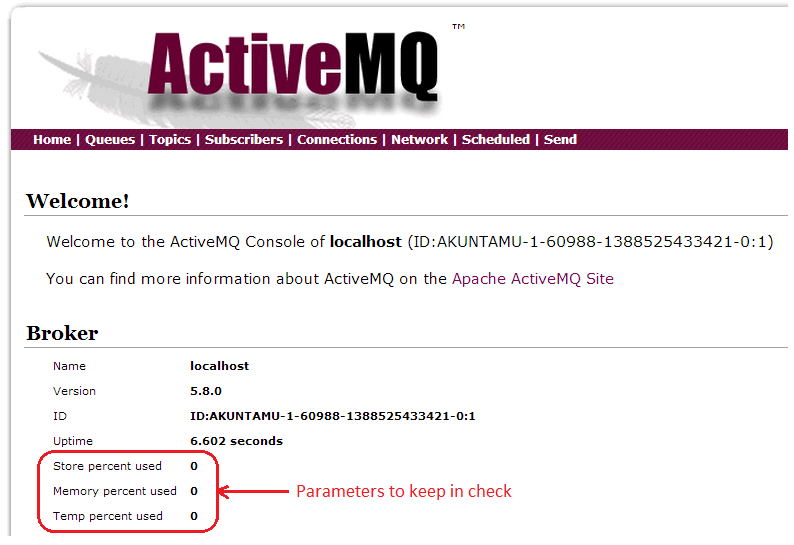 The following log message shows up in activemq.log. In this case we find that temp usage balloons to 191%. 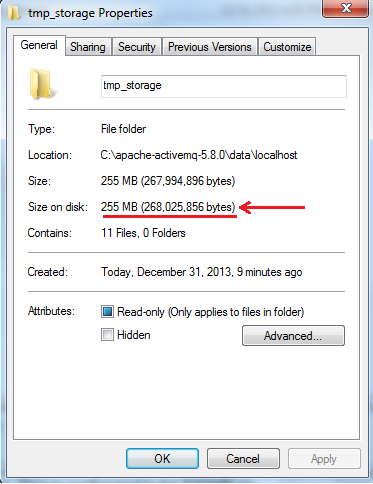 temp_storage stops growing at close to 96MB and producer hangs. Producer hangs after 512 messages. The following log statement appears in broker log file. 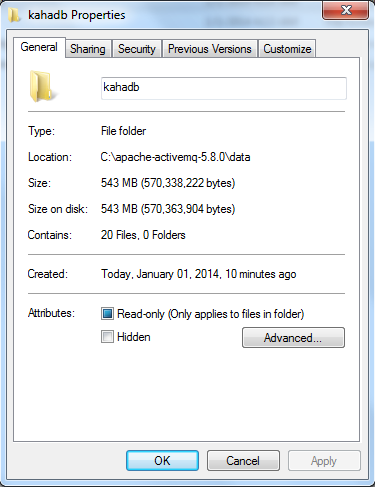 The above screenshot shows the kahadb folder where persistent messages is 543 MB (512MB for the messages and other database related files). As per the destination policy, the memory allocated per destination is 100MB and the cursorMemoryHighWaterMark is specified to be 30. 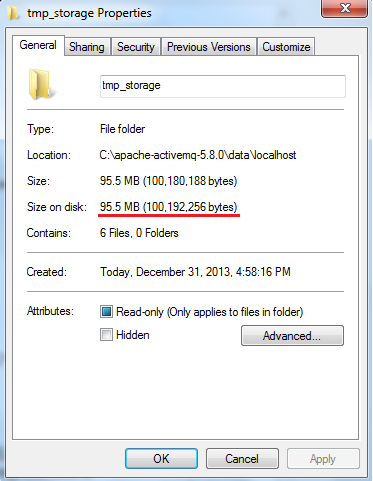 So 30% of 100MB is 30MB. Hence 30MB is used to store messages in memory for faster processing in addition to be being stored in the KahaDB.